A strong focus for the centre is creating quality postgraduates in order to create intellectual capital and leadership. A number of postgraduate scholarships are offered to students wishing to complete a thesis in an area which aligns with the objectives of the NTRC. Fellowships for students to participate in the First Nations' Futures Programme at Stanford University are also offered annually. Three NTRC scholarships are offered annually to Doctoral students which are worth $21,000, plus fees, for three years. The NTRC also offers five scholarships annually for Postgraduate Diploma, Honours and Master's students. These scholarships are valued at $12,000 plus fees, for one year. 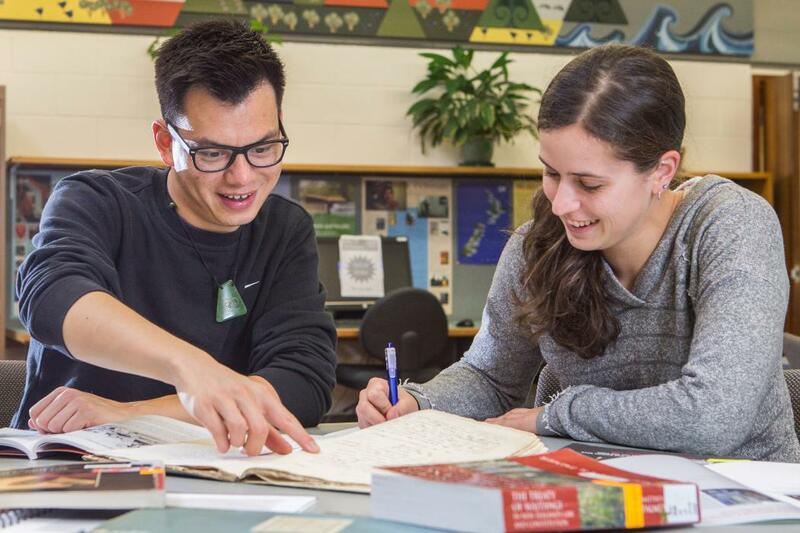 Scholarship recipients may be studying any discipline at the University, but preference will be given to applicants whose projects promote mātauranga Māori within the sciences, commerce, law or engineering and are linked to the mission and current research foci of the Ngāi Tahu Research Centre. Please email NTRC Administrator for queries. The First Nations' Futures Programme is held at Stanford University for two weeks in October/November every year.